Please refer to the RFAB Calendar or contact Alicia Nelson (757-247-8155) for application and meeting dates. 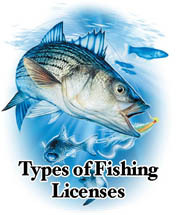 In July 1992, the Virginia General Assembly enacted legislation authorizing the implementation of a saltwater recreational fishing license. Pursuant to Virginia Code Section 28.3-302.3 § 28.2-302.3. Virginia Saltwater Recreational Fishing Development Fund established. There is hereby established a special, nonreverting fund in the state treasury to be known as the Virginia Saltwater Recreational Fishing Development Fund, hereafter referred to as the Fund. The interest earned on the principal of the Fund also shall not revert to the general fund. The Fund shall be administered by the Commission, to be used solely for the purposes of conserving and enhancing finfish species taken by recreational anglers; enforcing the provisions of §§ 28.2-302, 28.2-302.1, and 28.2-302.6 through 28.2- 302.9 and regulations promulgated thereunder; improving recreational fishing opportunities; administrating the Virginia Saltwater Sport Fishing Tournament certificates program; obtaining necessary data and conducting research for fisheries management; and creating or restoring habitat for species taken by recreational fishermen. The Fund shall consist of moneys collected pursuant to §§ 28.2-302, 28.2-302.2, and 28.2-302.6 through 28.2-302.9.
, funds collected by the Commonwealth of Virginia for the sale of those license are deposited in a special non-reverting fund and used to improve recreational fisheries in Virginia. The Recreational Fishing Advisory Board (RFAB) of the Virginia Marine Resources Commission is charged with advising the Commission on the management of that fund consistent with the enabling legislation. A major responsibility of the RFAB is to review proposed fund expenditures to ensure they support projects which contribute significantly to the management and enhancement of recreationally important species and enhance recreational fishing opportunities. The following categories have been identified as the areas of priority concern for recreational fisheries and proposals for Fund expenditures should address needs within these categories. In addition, the RFAB had adopted funding targets, expressed as a percentage of total fund expenditures, for each of these categories, which are also listed below. The RFAB Grant Program accepts grant applications from public and non-profit entities addressing any of the above priority areas. For the Research and Data Collection Program, the RFAB may publish a Request for Proposals (RFP) announcing funding priorities for the upcoming funding cycle. RFP's will be published approximately 60 days prior to each deadline. While proposals addressing any appropriate research topic will be accepted for review, funding preference will be given to proposals addressing issues specifically requested and defined in the appropriate RFP. The RFAB periodically may issue RFP's, which address other categories of the Priority Concerns, and that information will be available in the same manner. Each proposal must include a completed Project Application form, listing a full and detailed description of the scope of the work, a list of anticipated deliverables and final products, a detailed budget, and anticipated timeline for the project. We prefer to receive the complete application via E-mail or CD in Microsoft Word/Excel or Adobe PDF format. However, if you do not have the computer capabilities, hard copies will be accepted. All proposals must be typed, on one side of the paper, and must not exceed 15 pages in length including figures, tables, drawings, etc. Failure to submit the proposal in the appropriate format or to meet these guidelines will result in the return of the proposal to the applicant. For additional information, contact Rob O'Reilly (rob.o'reilly@mrc.virginia.gov) or call 757-247-2247. I.) Need: State the problem or deficiency that the project will improve. Research projects should respond to data and information needs, such as those identified in "Status of Stock Assessment Knowledge Used to Manage Important Virginia Finfish Species." This document is available from VMRC or for download in PDF format (must use Part I and Part II for entire document). II.) Objective: Provide a concise statement of what is anticipated and the target date(s). III.) Expected Results or Benefits: Describe to the extent possible the benefits, which will accrue to Virginia's recreational fishermen and the resource. Fisheries research and stock enhancement projects must specify the benefits accruing to Virginia's recreational fishermen, commercial fishermen and any other user groups. The expected benefits should be allocated to all benefiting user groups using the best information and estimates the applicant has available and should be expressed on a percentage basis. To the extent possible, projects should primarily benefit areas and fisherman within the geographic boundaries in which a Virginia saltwater recreational fishing license is required. IV.) Approach: Describe how the work will be conducted including steps to be taken and target dates, personnel required. V.) Location: Identify where the project will be carried out. VI.) Estimated Cost: Provide the estimated cost by line item, including matching funds used. A) Each proposal must be signed by the person(s) authorized to obligate the applicant to the proposed project and confirm the applicant's financial commitment. B) Budgets must be sufficiently detailed to allow reviewers to determine the reasonableness of the request. Additionally, the following parameters should be noted. 1) Salary support for principal investigators must not exceed 15% of their annual salary. Further restrictions may appertain for principal investigators who are awarded multiple projects by the RFAB. 2) A brief explanation of general categories of budgeted line items (such as supplies or travel) must be included. 3) Any equipment item costing more than $5000 must be justified with respect to the cost and benefit to be derived from the project, to include an analysis of renting vs. purchase. 4) Applicants who have established indirect cost rates may include indirect cost reimbursement as a part of the project budget. Indirect costs (facilities, administrative & overhead costs) may not exceed a rate of 25% of total costs. 5) Applicants with an approved indirect cost rate greater than 25% may include those costs exceeding 25% as a part of matching contribution. 6) All budgets should be consistent with normal costing policies and accounting procedures. C) Grant recipients are required to match a minimum of 10% of the total project costs for research and data collection projects. D) Grant recipients for facilities/access projects are required to provide a "hard dollar" (cash, value of land, etc.) matching contribution at a minimum of 25% of the total project cost. Applications for facilities/access projects must provide an estimate of the usage of the facility to include number of people, where the people are expected to come from, number of license holders within the area, and any other relevant demographic data or estimates. All facilities /access projects shall post signage giving appropriate credit to the Virginia Saltwater Recreational Development Fund. Projects will normally be awarded for a period of one year. Applicants may request a multi-year support, but additional funding will be approved on an annual basis subject to satisfactory completion of previous work (includes reporting on a timely basis), submission of a renewal proposal, and a determination that continuation of the project is in the best interest of the RFAB/VMRC's needs and priorities. Jurisdictions shall maintain the stated or intended use of the facility/access project for a minimum period of 20 years. Projects over $100,000 must maintain the intended use for 30 years. Any abandonment of the project, conversion of the project to another use, or allowance of uses prohibited by the contract shall automatically trigger repayment to the fund of an amortized portion of the total grant reflecting the remaining life of the project. Funding for facility/access projects will be reimbursed to the jurisdiction upon completion of the entire contracted project. Reimbursements will be processed within 30 days of the final VMRC engineering inspection. All final expense and support documentation must be included with the request for reimbursement. Failure to sign a VSRFDF grant contract within 90 days after Commission approval shall render the approved grant null and void with the funds reverting back to the fund for other projects. All projects shall specify dates and deliverables clearly in the contract. All projects will be monitored and shall contractually file for extensions. Extensions shall automatically trigger additional reporting and accounting requirements. Complete E-mail or FAX copies will be accepted to meet the application deadline. The Recreational Fishing Advisory Board (RFAB) meets the second Monday of the designated months at the Virginia Marine Resources Commission, 2600 Washington Ave., 4th Floor, Newport News, VA.
1) The applicant is provided the opportunity to present his or her project to the RFAB. A) Research and Monitoring Projects: Peer reviews are completed by qualified personnel from organizations such as VIMS, ODU, VPI, ASMFC, NMFS, and others as determined by staff. Reviewers are not involved with the proposal and do not review proposals submitted from their own organizations. B) Facilities/Access: VDGIF and others as determined by staff. 1) RFAB will hold advertised public hearings to accept comment on each project application. 2) Public comment on other subjects will also be accepted at that time. 3) Written public comment is accepted during the entire review cycle. 1.) RFAB will discuss projects and prepare for their final recommendations. 1.) RFAB will prioritize projects and make recommendations to the VMRC. 2.) Final approval by VMRC at the Commission meeting held that month. The Commission may choose to hold an additional public hearing at the meeting, but are not required to do so.